Dave Museeuw took the hole shot and didn't look back for the first half of the race. He was joined up front by Toby Tafi and Jeff Ballerini. There was a nice gap. Behind some began to charge, (Foster, Carnes, Fields, Lenaburg) but Hellgate was too much. 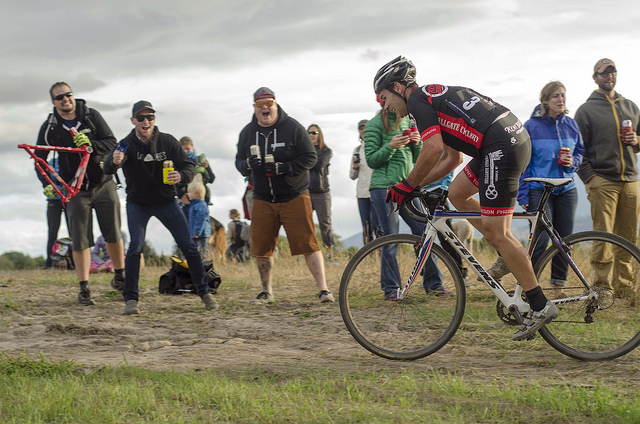 Toby rode away, Stink passed Hartman, but in the end Kevin could have called in mid race and dictated the winner. 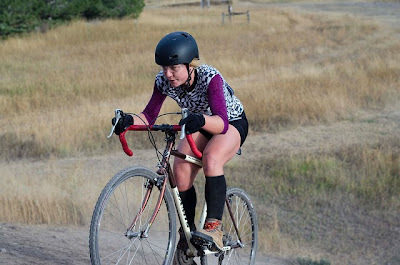 On the ladies side Ingrid looked great and took the win. Great turnout in the ladies field and Men's B. I'll get some more information as I hear it. 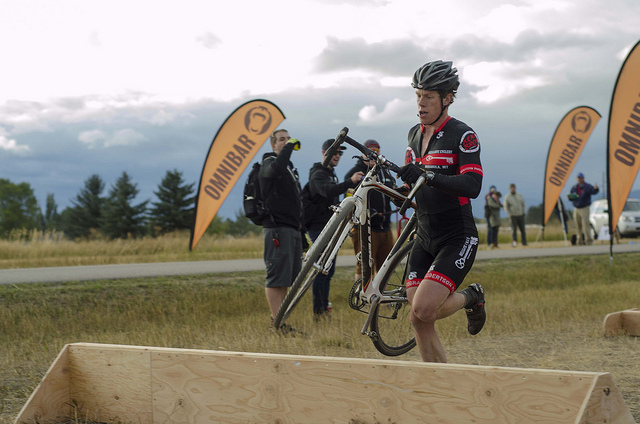 Josh Martel won the B's in his first cross race. Eddie Joy was up there as well. I'll post results on the site when I get them. All photos by James Farrugia. Here is a link to his full album. Great fans with creative cheering instruments. Toby has been having a fine season and it continues at Wednesday Cross. Pumped to see some new folks out. Ingrid continues to reign supreme in Missoula. Due to heavy rains last night we have decided to move the cyclocross race to the equestrian park. We do not want to risk doing any damage to the grounds at Fort Missoula. Please arrive early for registration as we are expecting a large turnout. 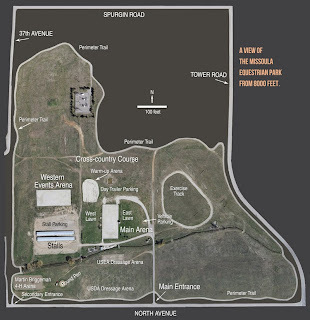 Also please park inside the equestrian park grounds, there is plenty of parking inside. Please avoid parking on North Ave. the neighbors get upset with all the cars lining the street. Cooper Burchenal will be making hamburgers post race so come with an appetite if racing for an hour doesn't give you one. the entrance is located on North Ave. West which is just west of Big Sky High School and about a block west of Tower road. 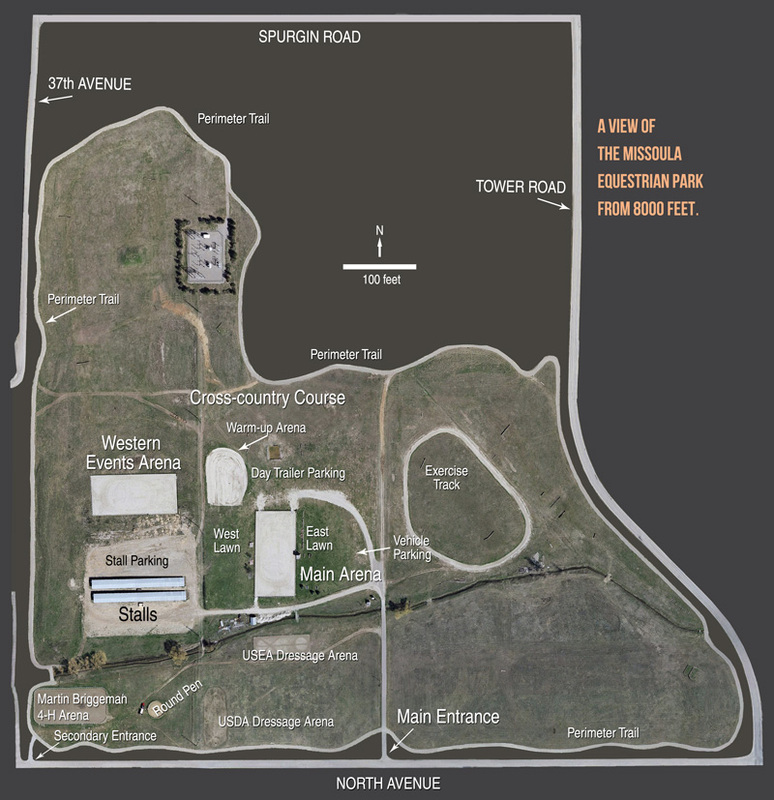 The equestrian park is bordered by North Ave West, Tower road and Spurgin road. You can get tot he park via South Ave or Spurgin road. If you come via South Ave turn right on Tower road just as you pass Big Sky High School, then take a left on North Ave. If you have any questions please call 721-6525 and one of us can help you out. Rain is in the forecast for 9/18's series kickoff. In the case of rain the races get move to the Equestrian Park. Once it's posted on the Facebook page I'll copy that announcement and put it on the blog. 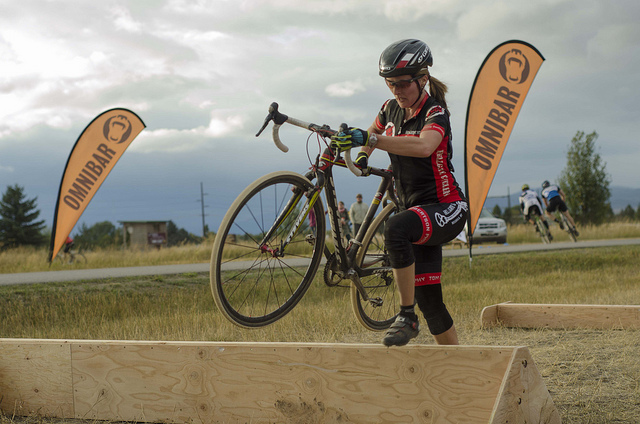 I apologize for the inconvenience, but it's important to keep all our cyclocross venues happy.